Are you looking for a way to dive deeper with your charitable giving? Get involved with this year's Night of Hope Gala! 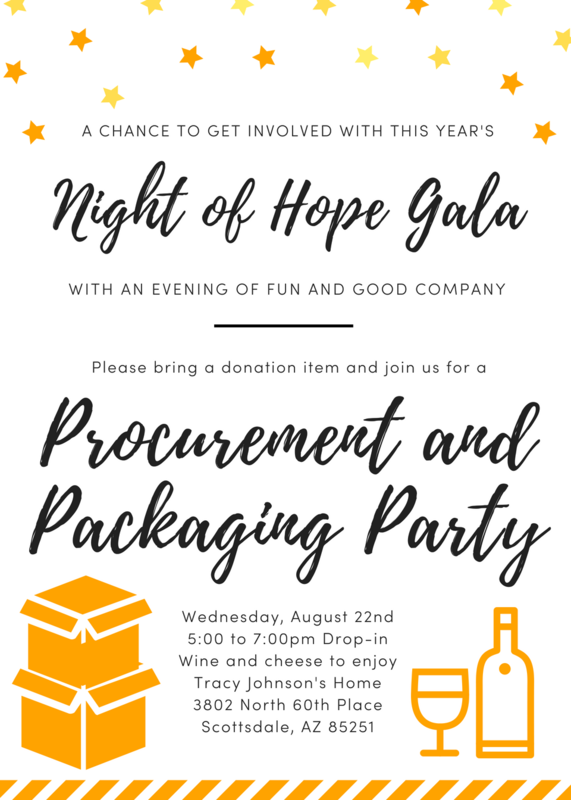 On August 22nd, our Gala Chair, Tracy Johnson, is hosting our first ever Procurement and Packaging Party! This will be a time for you to bring your item(s) for the gala, help package a couple of the mystery boxes or baskets, and meet some members of our team and some other incredible supporters! Wine and cheese will be provided so please drop in when you can! Note: please bring a donated item that you would be thrilled to bring home with you!